What fun, I don’t think I have tasted wine made from rare grapes and admit I know very little about it. I am fascinated by this and would love to try. I bought a bottle of 2012 Navaherreros Garnacha de Bernabeleva after you posted the wine on Twitter. Looking forward to trying it. Cheers! I remember you mentioned that. Curious to hear your opinion. Great list! I’ve had a few but not in enough quantities to come to conclusions. Love Spanish wines though. I like original authentic wines, wines with character that I find much more interesting than mass-produced stuff (which can be tasty, but becomes boring). Unusual grapes help a lot. Although even chardonnay can have a lot of character from an interesting producer and an interesting terroir. Some of the grapes you mention are not rare from a Spanish perspective (like Viura and Xarel.lo), although I could not say I know them well. I agree that Chardonnay (or any other mainstream grape) might be unique and different depending where it comes from. Yes, Viura and Xarel-lo are well known, however, in US you can find may be 1 bottle of Viura in one wine store out of 5. 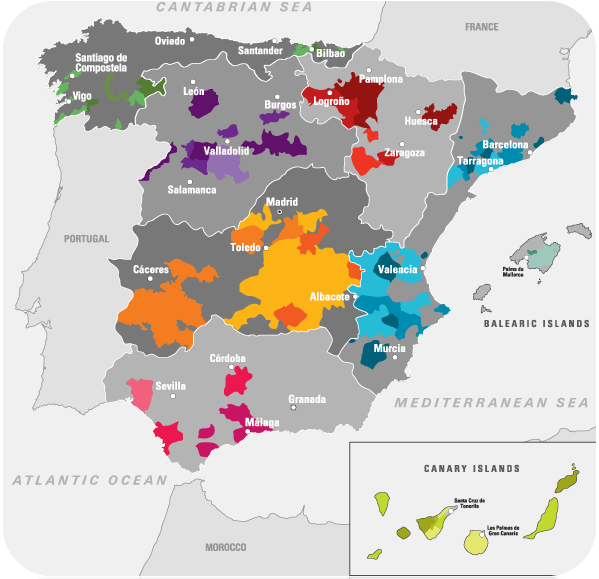 And while Xarel-lo is one of the major components in the Cava, it is practically non-existent in the form of the varietal still wine. I should’ve done better job explaining the rationale of my post. It is great that you inspire your readers to try something new. It is certainly true that one’s location also has a big influence on what is rare. I recently talked to someone online who had never heard of Muscadet, which in the Netherlands you can find in every supermarket. You certainly have a point, because I don’t think I’ve tasted more than 1 or 2 varietals from either Viura or Xarel.lo. I’m more aware of Italian rare varieties like erbaluce, gaglioppo, ruchè, coda di volpe, uva di troia, lacrima di morro d’alba, timorasso, etc. I don’t think arneis could be considered rare, although I doubt whether even 1 wine store out of 5 would carry it in the US. There so many discoveries we can make in the world of wine….